Have you ever taken a peek through an open door and glimpsed a gorgeous private courtyard? Paris is full of them, and some of these buildings are even grander on the inside than they appear on the outside. Many of the buildings you pass every day date back to the 17th century, when they were built as mansions for aristocrats and noblemen. They’re called hôtels particuliers, and some of them are open to the public. Here’s a list of the three most beautiful hôtels particuliers in Paris. 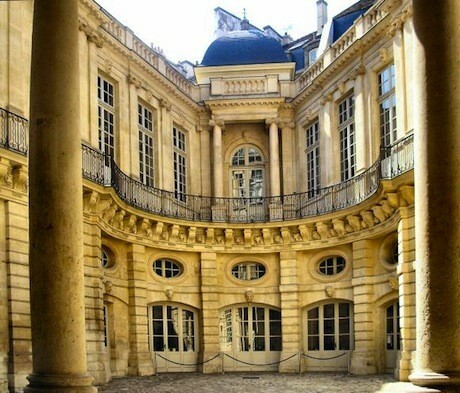 Located in the heart of the Marais on the rue Saint-Antoine, the Hôtel de Sully is now the Centre des Monuments Nationaux, which hosts exhibits and events. The building, designed by Jacques Androuet du Cerceau, was constructed for the financier Mesme Gallet (but named for Maximilien de Béthune, the first duke of Sully, who bought it 10 years later) in 1625. Also a financier, the duke of Sully was Henri IV’s right-hand man and served him as a spy during the civil wars between the Catholics and the Protestants. 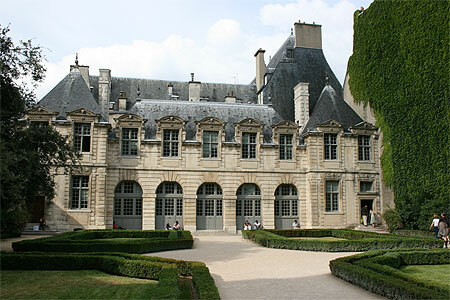 The Hôtel de Sully has all the makings of a mansion fit for a king’s adviser, including a large central courtyard, a grand wrought-iron staircase, and sculptures and reliefs decorating the exterior. 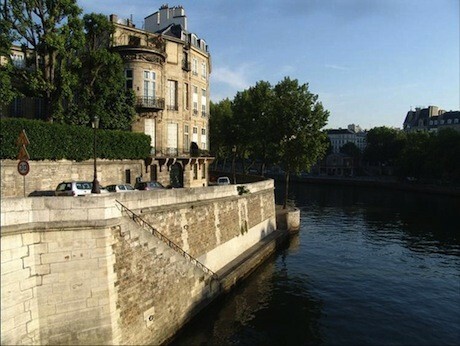 The Hôtel Lambert is on the corner of the rue Saint-Louis-en-l’Ile and the quai d’Anjou, right where the Ile Saint-Louis comes to a point. It was built specifically to give its residents incredible views of the Seine, and indeed it had some very special residents. Commissioned in 1641 by Jean-Baptiste Lambert, councillor and secretary to the king, it later housed Chopin, Georges Sand and Voltaire and his mistress. The Hôtel Lambert was designed by Louis Le Vau and features interior design and murals by Eustache Le Sueur and Charles Le Brun, three of the most famous artists of the period. In fact, it remains a royal residence today, as it’s privately owned by Prince Abdullah bin Khalifa al-Thani of Qatar, so unfortunately you’ll have to admire it from the outside only. © S. Jodra 2009/via cosmovisions.com. If stories of espionage and artists aren’t enough, take a stroll over to the Hôtel de Beauvais on the rue François Miron to imagine the juicy stories of courtly life. Madame de Beauvais (born Catherine Henriette Bellier) was hired by Queen Anne d’Autriche to educate the young Louis XIV in the ways of the flesh. In exchange for her services, she was given a castle and a stipend. She wanted her home to be centrally located along the route of the royal processions, and Queen Anne d’Autriche and Cardinal Mazarin watched the marriage procession of Louis XIV and Marie Thérèse from her balcony. The architect is said to be the great Antoine Le Pautre, and Mme de Beauvais acquired stones from the Louvre for the hôtel’s construction. Today the Hôtel de Beauvais is a court of appeals. The interior is off-limits, but the courtyard is open to visitors. By Laura Itzkowitz for Untapped Paris. Editor’s note: Do you want to explore the Marais? We have two wonderful tours of the area. Simply download Walk and Shop the Marais and Around the Marais for an insider’s look at everything the popular neighborhood has to offer.